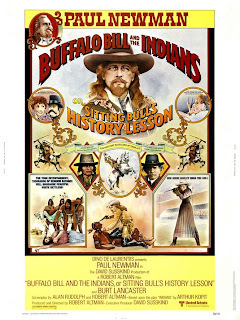 Buffalo Bill and the Indians, or Sitting Bull’s History Lesson (1976): Released on the eve of the Bicentennial, Altman’s adaptation of Arthur Kopit’s play Indians was perhaps a little too de-mythologizing for mainstream audiences; he also did himself no favors with his casual treatment of superstar Paul Newman, who isn’t even seen until nearly fifteen minutes in, and then only in medium wide-shots, his movie-star good looks barely acknowledged. 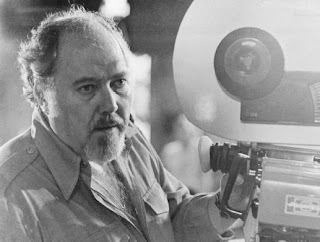 Indeed, much of the film has a distancing effect that borders on perverse, but it’s also vintage Altman, full of the kind of busy backgrounds and overlapping dialogue and observational technique that we tend to associate with his style. It’s a bit overlong (most of these “lesser” Altmans are), but it’s got some interesting things to say about the old West and about “the show business” (Joel Grey is especially good, as a very different Master of Ceremonies). 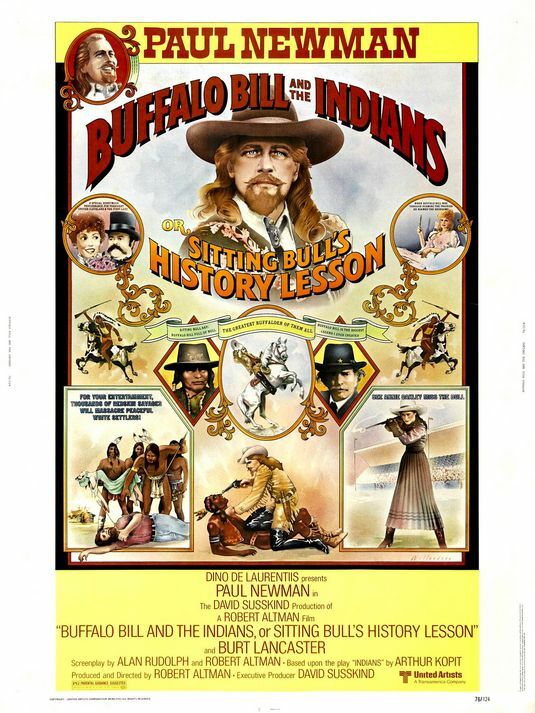 REGULARS: Shelley Duvall (who plays the first lady) and Geraldine Chaplin (Annie Oakley) were ubiquitous in his 1970s films; Newman reteamed with Altman three years later for Quintet (an upcoming stop for The Altman Project ™). John Considine also appeared in California Split and A Wedding. Co-star Allan F. Nichols (“The Journalist”) also appeared in Nashville, Popeye, HealtH, A Wedding, and A Perfect Couple (see below), co-writing the last two; he was Altman’s First Assistant Director for several films as well. A Perfect Couple (1979): There’s much to like in this off-kilter romantic comedy (if it didn’t influence PT Anderson’s Punch Drunk Love, I’ll eat my hat), as long as it sticks to the primary romance between Alex (the wonderful Paul Dooley in a welcome leading role) and Sheila (Marta Heflin); I particularly liked the charming way he gets his goodnight kiss on their first date. But as soon as that moment ends, the soundtrack is overwhelmed by a thoroughly dreadful disco song that sounded dated five minutes after the session ended. Come to find out, that’s just the beginning. Sheila sings in a band called “Keepin’ ‘Em off the Streets” (I’m not making this up), and Altman—or more likely co-writer Nichols, who was part of the band—is laboring under the impression that they’re good. They’re not. The music is just intolerable, and there’s so much of it; it becomes difficult to engage with the romance, because Altman keeps giving equal time to the band, and letting their horrifying music underscore everything. In terms of style, this is one of his more conventional films—the camerawork and sound design are fairly straightforward, and he seems (in spite of his non-commercial tendencies) to be trying to tell a story that audiences might connect with and root for. But good lord, that music. “The music is a distraction,” Roger Ebert wrote at the time, “a carryover, maybe, from Altman’s success with the country music of Nashville. This time, because it’s not organic to the story, it just gets in the way.” Well said. REGULARS: Dooley (best remembered now for his father roles in Sixteen Candles and Breaking Away) appeared four other times for Altman, most memorably as Wimpy in Popeye. Heflin was also part of the A Wedding and Come Back to the Five and Dime, Jimmy Dean, Jimmy Dean ensembles. And odd little Henry Gibson was of course one of the most recognizable members of Altman’s rep company, turning up in The Long Goodbye, Nashville (as Haven Hamilton), and HealtH. ALTMAN’S AMERICA: Not much to say about it here, aside from our love in the late 1970s for bad pop music.